The experience of childbirth should be both strong and positive – something you will want to cherish for the rest of your life. MOMS – Moms generally feel calmer, safer and more relaxed. The pregnancy is a nice and happy one. This method strongly contributes to eliminate fear and tensions related to the upcoming birth and so helps the body to release the right hormones before and also during the birth itself. This very often eliminates the need for medical intervention or application of drugs during childbirth. Moms feel stronger, have more energy and are more self-confident. BABIES – come to this world serene, with love and often no drugs have to be used in the process. The baby is calmer, healthier, eats and sleeps better and cries less. DADS: – actively participate on the childbirth offering support to their partner, they often realize they too can play an important role during the birth of their baby. 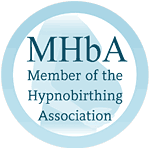 HypnoBirthing is a natural birth preparation method that combines the power of relaxation, relief and visualization. It’s based on an active cooperation of the mind and the body directed towards releasing stress, doubts and fear. In this process pain is released too, which also helps to transform the arrival of a baby into a peaceful, smooth and enjoyable experience. The way a little human being enters this world is the strongest experience in life. This and the first contact of the baby with mother and father will influence his/her entire life (future relationships, awareness, psychic makeup, etc.). The arrival of a new life should be welcomed with peace and love. The ideal time to join is the second trimester. Parents will have enough time to get used to regular practice of the relaxation and visualization techniques and they won’t have to hurry to get them right. However, the HypnoBirthing techniques can also be successfully learned, if only practiced during the third trimester period as well.